Gwyneth Paltrow has shown she and ex-husband Chris Martin are as friendly as ever as she introduced him as "father of the year" at a celebrity event. 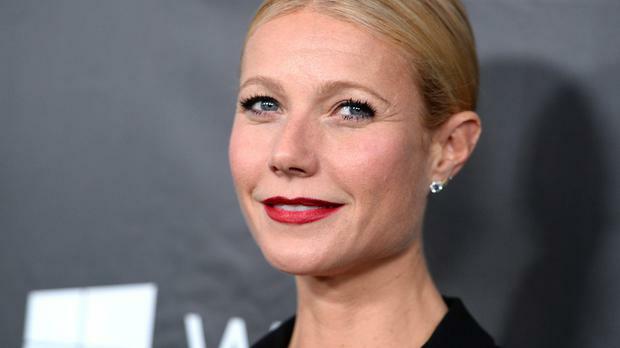 The Hollywood actress and the Coldplay frontman parted company in March, announcing the news in a post on Gwyneth's lifestyle website Goop that they titled Conscious Uncoupling, but have remained close as they raise their children Apple and Moses together. Chris made a surprise appearance at a gala for Aids charity amfAR in Los Angeles this week and People reported that he received a glowing introduction from Gwyneth, who was hosting. "This brilliant singer-songwriter has sold eight million records, has won every single award that there is to be won, especially father of the year, which he has won consecutively since 2004," she said. "I am speaking of Chris Martin and the incredibly talented Jonny Buckland, who together make up one-half of the legendary band Coldplay." Sharon Stone was also present and during her speech told the crowd how impressed she was with the way Gwyneth and Chris have stayed close. "We thank you for your inner and outer beauty," she told the Iron Man actress, "which you demonstrated by the fact that you get along with your ex-husband." The event also marked Chris' first public appearance since he apparently split from actress Jennifer Lawrence. The singer was thought to have been dating the Hunger Games star for around three months until early October, although they never publicly confirmed their relationship. Other stars at the amfAR Inspiration Gala included Justin Timberlake, Rihanna, Kelly Osbourne, January Jones, Rita Wilson and Miley Cyrus. The event included an auction and E! News reported that Miley, Rihanna and Tom Ford - who was the night's honouree - got into a bidding war over a print of a naked woman, with Miley eventually snapping it up for 300,000 dollars (£187,000). The trio later each dug deep and donated another 200,000 (£125,000) each to the cause. Bangerz star Miley later went on stage to talk about her role as Mac Cosmetics' Viva Glam celebrity spokesperson. "I'm a little drunk. That's why I'm a half a million deep," said the singer.